Be sure to check out our new video posted on our website and on vrbo. 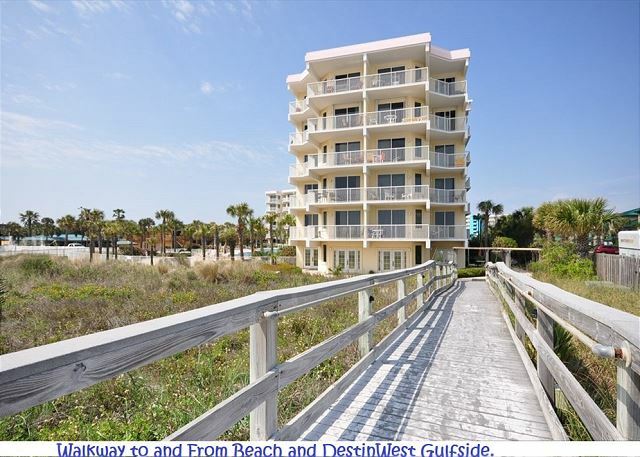 Beautiful 360 degree views of inside and outside the condo and resort. 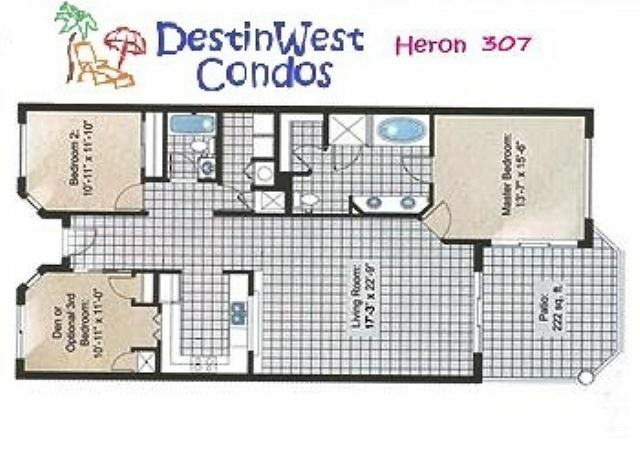 Your family will find comfort and beauty in this beautifully furnished 3rd floor Heron unit. 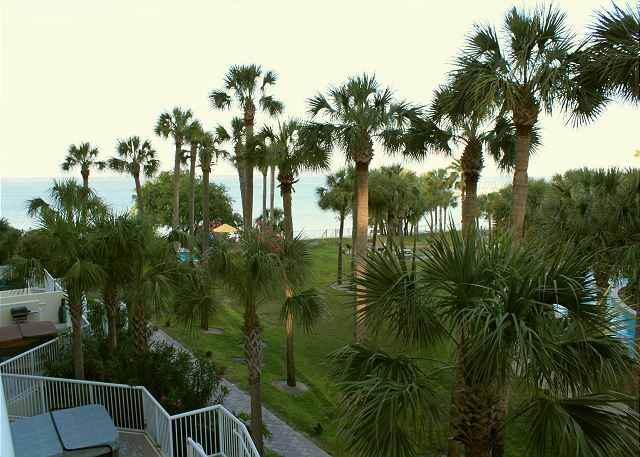 The large balcony provides scenic views of the Choctawhatchee Bay and the lush, tropical pool area. 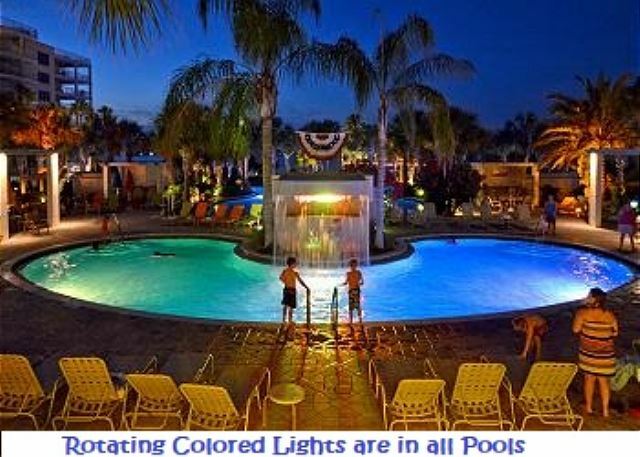 You’ll have access to the resort’s many pools and water features including the much-loved Lazy River. In addition, you'll get to enjoy the smaller, quieter pool for use by Heron guests only. Sleeping arrangements include king in master, king in guest room and full over full bunks with twin trundle in the 3rd bed room. Each bedroom is furnished with its own TV (cable) and DVD player. There’s plenty of space in the living room for the family to stretch out and enjoy a movie on the 37” LCD TV. Relax at the end of the day in the large jetted tub in the spacious master bath. The master bath also features a large shower with flat-curb, walk-in entry – perfect for guests with limited physical ability. Cooks in the family will enjoy the fully equipped kitchen with everything you’d need for meal preparation along with the large, family-style dining table for serving. 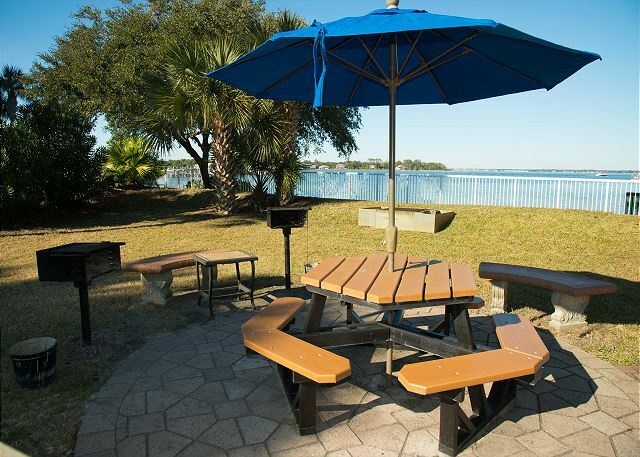 Charcoal grills and a picnic area are provided for the out-door cooks. Of course, eating out is an easy choice also, as there are several great restaurants within walking distance to the resort. 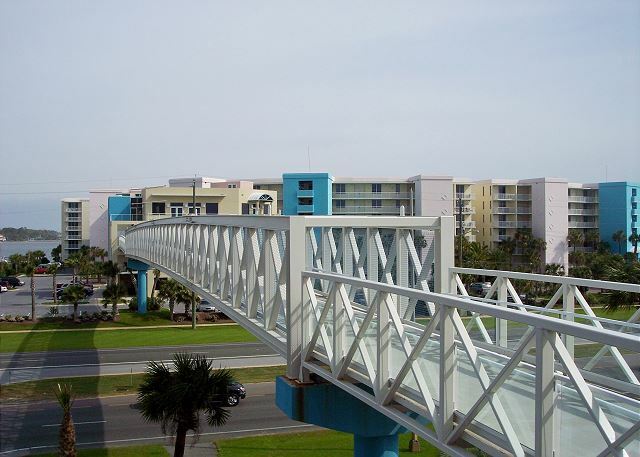 Beach lovers will find the pedestrian sky-bridge an easy, convenient way to access the beautiful beach with a 7-8 minute walk. 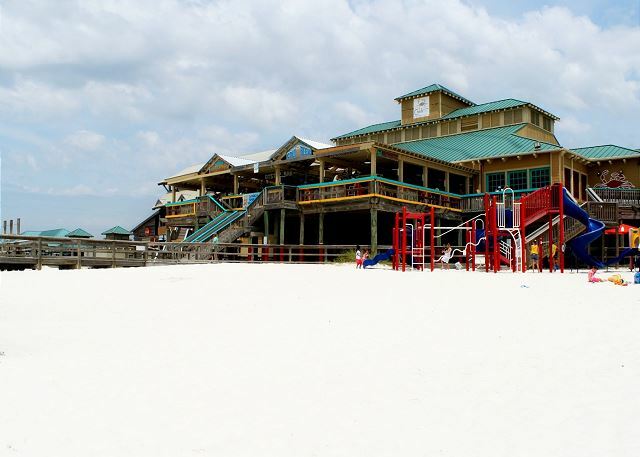 Next door is wave-runner and pontoon boat rentals or you can stroll down the beach to the Ft. Walton Beach Boardwalk or the pier to fish. Choose from several restaurants and night clubs also within walking distance. Grocery Shopping within a mile of resort. 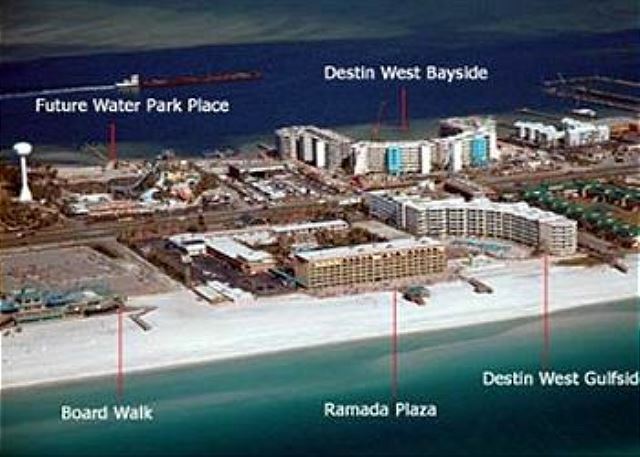 Destin is only a 6 mile drive. Come and discover our resort. 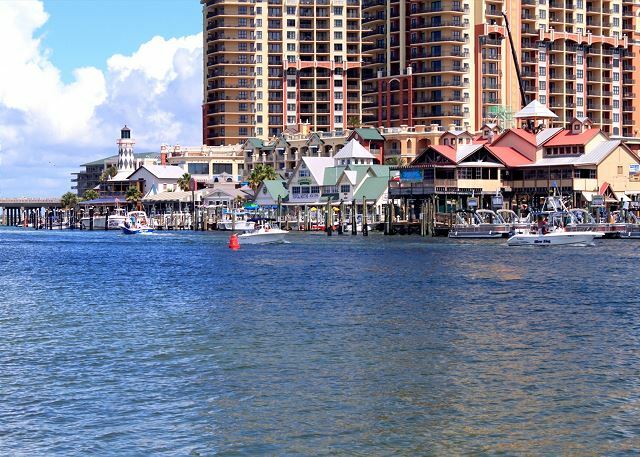 You'll see why so many families have made Destin West their vacation destination! Spectacular first time experience and definitely coming back making this trip to be a family tradition every year. Most definitely. Dear Keren, Thank you so much for this wonderful review! We're so grateful for your comments, and happy to hear that you had a great vacation! We will definitely look forward to having you and your family stay with us again! The apartment was great, the place awesone, everything was according to what was offered. Dear Mr. Frejenal, Thank you so much for your review! We love hearing from our guests and are so happy that you'll be back to stay with us again. Until then, we'll be waiting here to help you book your next stay! We had a great time with family and friends for the 4th of July week. I wish the weather would've cooperated a little better, but we made the best of it! Dear Ms. Robichaux, Thank you for leaving us this wonderful review! I'm so glad you enjoyed your stay with us! Thank you for your wonderful review! We look forward to having you back again soon! Dear Ms. Sekulich, We're so happy to hear that you truly enjoyed spending your special Holiday with us! We'll be looking forward to having you back again, very soon! Due to the instructions sent from the management, it was easy to find and get into the unit. (We did it in the dark.) The unit was on the bay, rather than the ocean—better for boating and fishing. We completely enjoyed our time there. Dear Mr. Jacobs, I'm so glad you enjoyed your time with us! 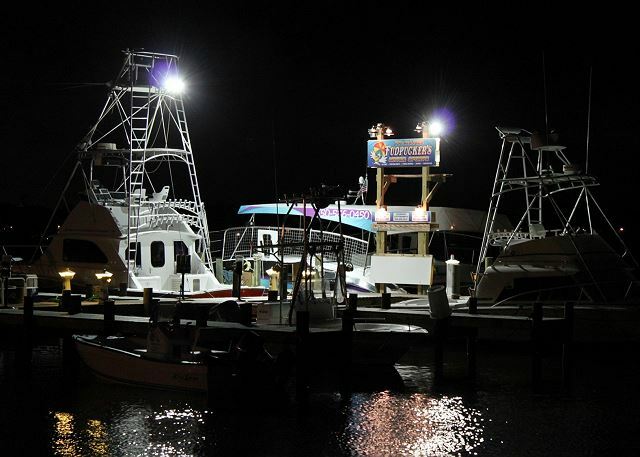 We DO have Gulfside units available for your next trip should you choose to go for a different experience, but I'm in agreement that the bayside is MUCH better for boating and fishing. Please let us know when we can book your next visit! This place was perfect! 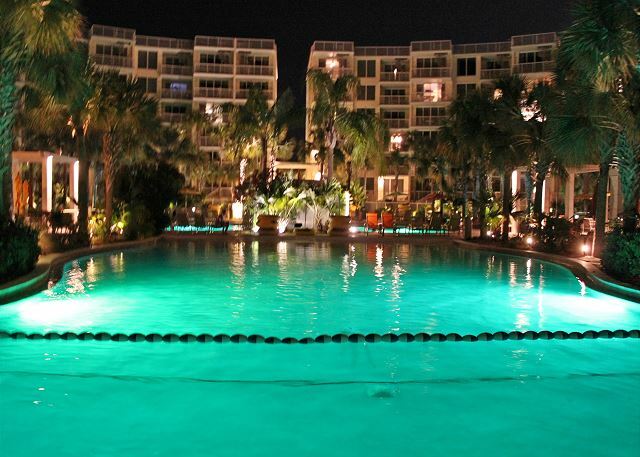 This is our third time staying at a condo in the Heron, and this one was our favorite! 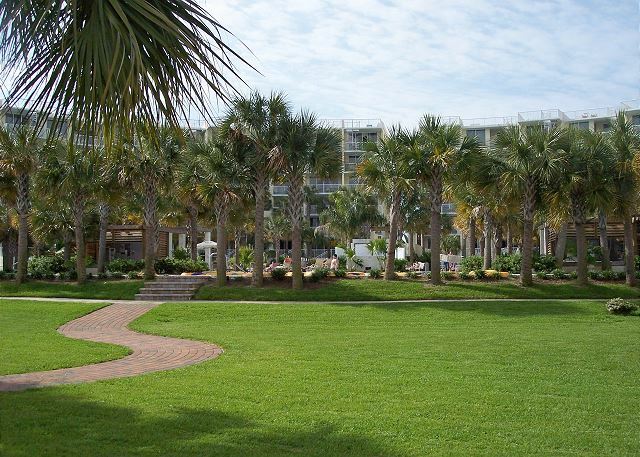 Location is great, beach is always beautiful, and we all love the lazy river! The condo had everything we needed,and we were even able to check-in a little earlier which we very much appreciated. Dear Ms. Sikes, It means the world to us hearing that you and your family enjoy coming back each year! 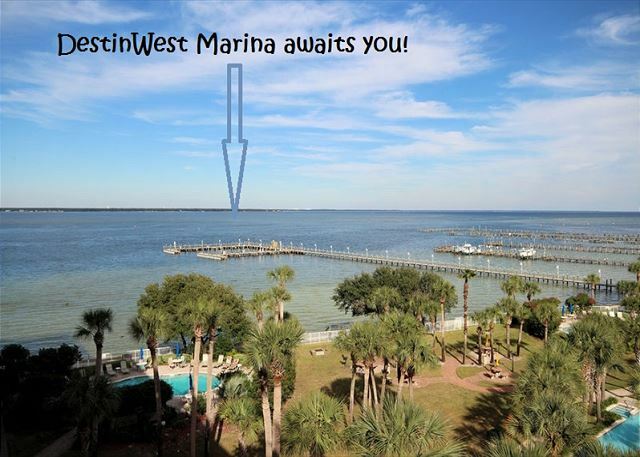 Destin West does have unbeatable amenities! We're already looking forward to the next time we see you! It was a great trip. We stayed three nights and loved the room and overlooking bay and pool. Dear Mr. Sorrels, Thank you for taking the time to leave us a kind word! We truly appreciate you and will look forward to your next visit! This condo was the perfect unit that provided everything needed for a relaxing week. Dear Mr. Atherton, I'm so glad that you enjoyed your stay! It is our goal to provide everything needed for the perfect vacation and we hope to book your next trip soon! Was a great experience . It was a good place to stay with the family. I do recommend this place too stay in. This place will be a first option to stay in on my next vacation. 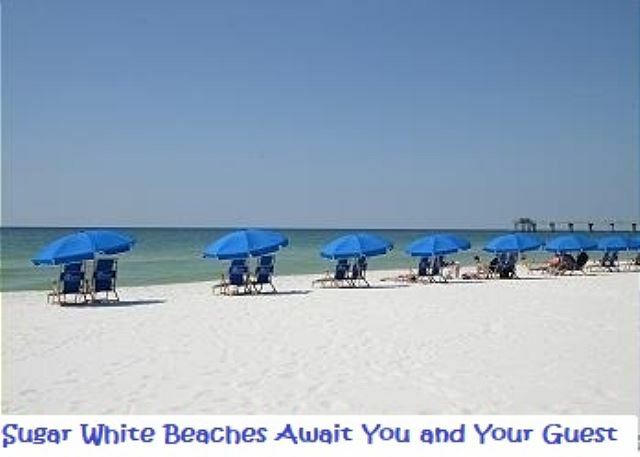 The accommodations were excellent as has become the norm when I stay there, which is why this is my first choice when checking availability in the Fort Walton Beach area. 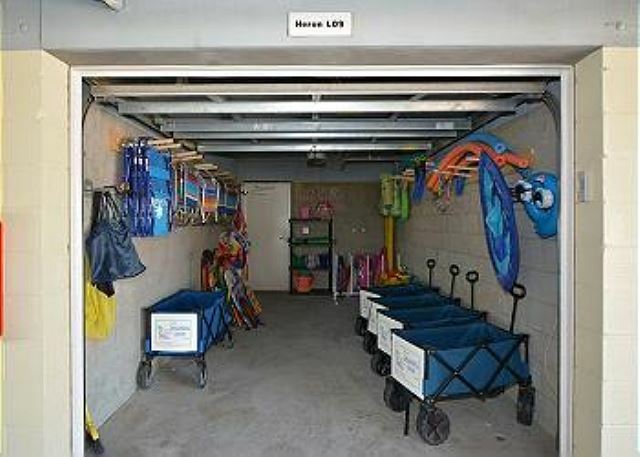 The place is always clean and if there are any problems they are corrected immediately. Amazing. Everyone has been so helpful. My family and I stayed here for the weekend to celebrate my birthday. This was my third trip to Destin West. I love this place! Our condo was very nice, clean, and was able to comfortably accommodate all ten of us. I like having the crosswalk so I don't have to worry about the kids crossing the street. The lazy river is very relaxing. We are planning to return for a longer stay this summer. Rebecca thanks for the great review. I am glad to hear that you had a great birthday. We look forward to having you return to visit us in the near future. Our stay at Heron 307 was everything that we could ask for. The rooms were large and very comfortable. The master bath was handicap friendly which will be great for the next time with my mother. Everything that you could ask for. We loved the lazy river since we just needed some relaxing down time. One of the best family vacations we've ever had ! It was awesome ! You couldn't ask for a better location ! Will definitely stay hee again ! This is our fifth time at destin Wesr B&BR. This was a new condo this year, and it didn't disappoint. Facility was great and the new presents of more staff was also a pleasant experience. We will be back next year ! This was such an awesome vacation spot for us. Our daughter was competing at the National Dance competition right up the street from the condo so this location was perfect. The resort was beautiful and well kept. The condo was very clean, spacious and well kept also. Loved every minute and can't wait to come again. Great service, speedy response times, friendly staff, beautiful accommodations,PERFECT! Heron 307 was clean and exactly as advertised. The owner we answered emails quickly and courteously. We will book again! 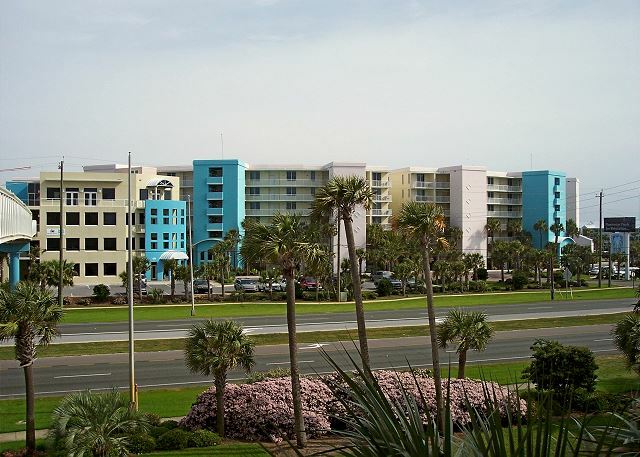 I had a worry free experience at the Destin West. The condo was clean and very well decorated. I would and will be staying again.